Holiday greetings from the High Library! We hope everyone is having a warm and joyful holiday break. The library staff is back at work today and excited to welcome everyone back to campus next week. 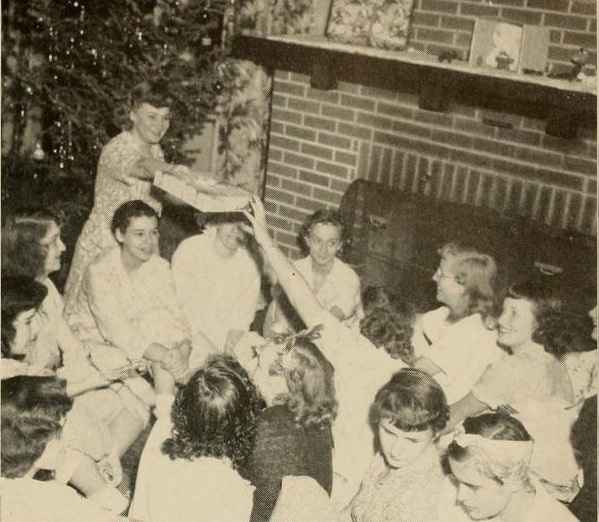 Elizabethtown students gather together to celebrate Christmas on campus. Photo from the 1949 Etonian yearbook. 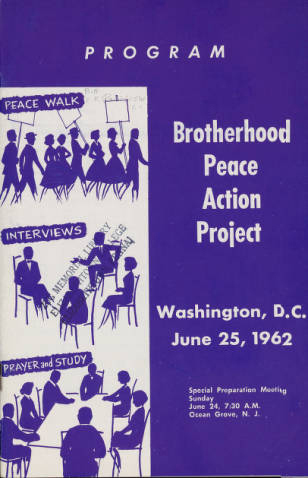 Categories: Archives, Digital Collections | Tags: digital collections, Hess Archives | Permalink. “Resting quietly in the archives of Elizabethtown College is a rusty old sword,” were the first words David Kenley and Peter DePuydt wrote in a 2010 article published in the Journal of Asian History. 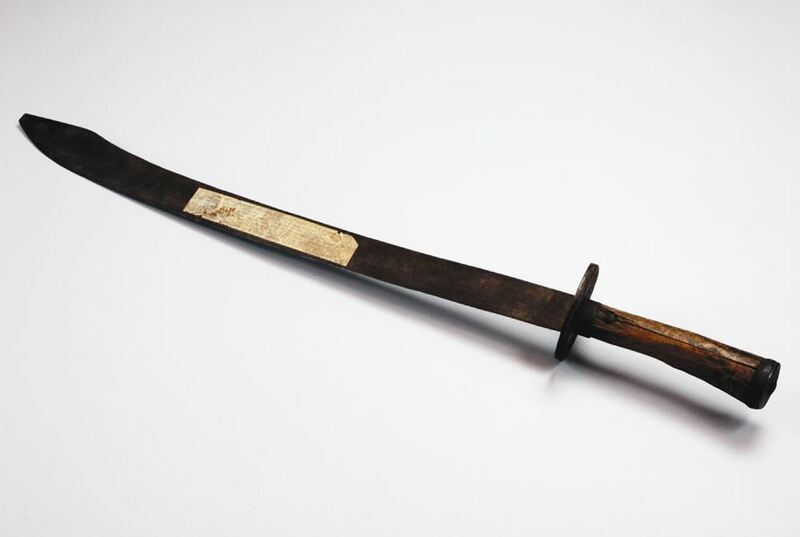 The long story behind this sword from China and how it came to be here is a tale of mystery that involved rebellion, death, guilt, and the power of redemption. For many decades the sword quietly was kept in the archives, first in Rider Hall where the library was located until the College built the Zug Memorial Library in the early 1950s. The sword then moved to the High Library when it opened in 1990. Many years passed until one day in 2007 a gentleman came into the High Library and asked to see the sword. His name was Gene Wampler. The son of Brethren missionaries, Mr. Wampler had been raised in China during the 1930s and knew the story behind the sword. With Mr. Wampler’s help, its mystery began to unravel. During the Boxer Rebellion in China in 1900, a young man, only known to us now as “Mr. Li,” led a gang of young toughs. In that uprising, Mr. Li used the sword to murder seven Christians, who were most likely Chinese converts. A number of years passed and Mr. Li eventually converted to Christianity sometime before the 1920s. 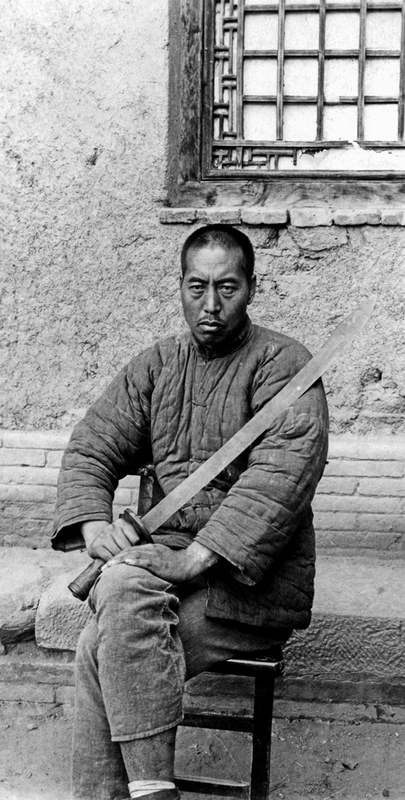 In a 1921 letter, missionary Anna V. Blough, wrote of Mr. Li and his sword: “[He] recalls it with horror.” Mr. Li, who still possessed the sword in the 1920s, eventually gave the weapon to another Brethren missionary, Isaiah Oberholtzer, who was an Elizabethtown College graduate. Isaiah Oberholtzer returned to Elizabethtown for a visit sometime around 1932, and at that time he donated Mr. Li’s sword to the College. The weapon’s history was lost as the years passed by until that fateful day in 2007 when Gene Wampler stopped by the library to see the final resting place of Mr. Li’s sword. On the sword’s blade is a typewritten note that reads in part: “Mr. Li has preserved this sword all of these years with a growing remorse upon his conscience. The sight of it has haunted him. But he takes [comfort] in another sword. The Sword of the Spirit, and rejoice in it.” Thus the power of redemption allowed one man to ease the burden of his troubled soul. Categories: Archives, Digital Collections | Tags: Brethren Missionaries, digital collections, Mr. Li sword, Oberholtzer, special collections | Permalink.